TSCC will be kicking off our new “Adopt-a-College-Student” program this year! Our heart and vision for this ministry is to live intentionally alongside our college students and meet a true need in their lives…family and support! College student adoption could look like inviting a student over for Sunday dinner, taking them to the grocery store, sending them a care basket during finals, taking them out to ice cream, having them over for Easter if they are not able to return home, and much more! This is a low-pressure relationship that is all about serving college students and helping to provide a home away from home locally while away at school. Interested in blessing a local college student who is part of our church family at Tried Stone? A place for them to have a home cooked meal, gain godly advice and wisdom, a family atmosphere and possibly the use of a washer and dryer? Consider adopting a college student (or two…maybe even three) at Tried Stone Christian Center. 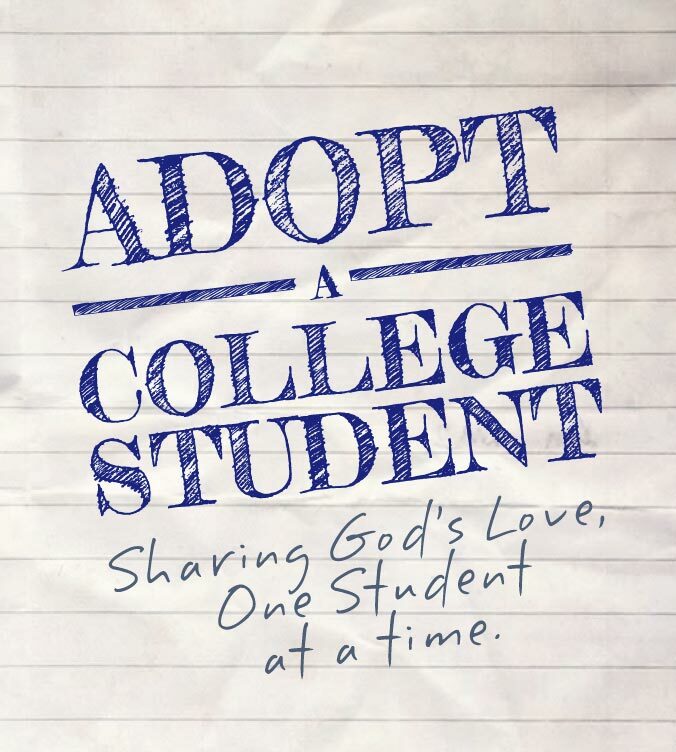 “Adopt-a-College-Student” not only blesses the student(s) but will also be a blessing for you! Fill out a short form at the connections table in the church foyer or go ahead and click here to adopt. Interested being adopted by a local family at Tried Stone? Do you regularly attend TSCC and consider us your home church in Blacksburg? Would you enjoy a home cooked meal, a family atmosphere, and a home away from home while you are at school. We would love for you to get involved in our “Adopt-a-College-Student” program! Fill out a short form at the connections table in church foyer or go ahead and click here to be adopted. Please email secretary@triedstone.cc with any questions or contact Brittnee Willoughby. Someone will contact you with more information once you have completed an adoption form and pairings will happen in February 2017!